FREE SHIPPING within the continental United States including Hawaii and Alaska. If you are concerned about the signs of aging, (wrinkles, fine lines, crows feet), skin blemishes, acne breakouts, stretch marks, scars, keloids, rosacea, sun and age spots, then we have good news! Thirty years ago in the mountains of Chile, Bascuñan's family discovered a unique natural ingredient that soothes, balances, repair and rejuvenates the skin, so it looks and feels healthier.Today, this purified complex organic ingredient, that cannot be replicated in even the most sophisticated biochemical laboratory on Earth, is the natural key to the effectiveness of our products. This powerful active ingredient comes from a little Chilean brown garden snail known as “Helix Aspersa Müller”, and is produced within the cells of the snail for their own skin, body and shell repair. The biological composition of the snail extract is very similar to the structure of our own skin; this makes it biological compatible to human skin. The substance itself is packed with proteins , vitamins and peptides; it contains anti-inflammatory and antioxidant agents that help treat the skin for a wide range of problems. This extraordinary natural ingredient can be used to boost new cell growth and orchestrate both an orderly skin repair and the elimination of pathogens or micro-organisms (such as uncontrolled acne bacteria) while cleaning out dead or dying cells and opening clogged pores. 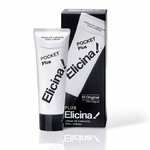 ELICINA ® is backed up and recommended by doctors and skincare professionals worldwide. The power of ELICINA ® has been tested in laboratories by top scientists, and proven to work in the real world by top models, actresses and public figures all over the world. Experience the power of ELICINA ® for yourself; join us, and discover a healthy skin of timeless youth!